It costs just $20 to become a lifetime member of REI, and you’ll make it back with one decent-sized purchase, like that tent or backpack you were already going to buy. Not to mention free shipping over $50, access to special events, or knowing you’re contributing to one of the biggest outdoor stewardship programs in the industry. If you were on the fence, now is the time to join. REI’s annual “member rewards week” is coming up, from March 24-April 10. Anyone who joins during those dates gets 20% off one full-priced item plus an extra 20% off one REI Garage item. That means if you sign up during this time, you just have to make one $100 purchase to get that lifetime membership fee back. As we know, it’s easy to spend $100 on gear before you can say “But this will bring my base weight down….” Joining during this promo also means access to purchase a special edition Hydro Flask, as well as $100 off REI Adventures. REI is famous for their return policy, which will take back any item within one year of purchase, no questions asked. We’d like to gently remind people not to abuse this policy, as everyone would like to see it stick around. REI hosts a number of members-only events and sales throughout the year. This can include up to 50% off a single item, a special discount period, or attendance at the infamous Garage Sales where the line can wind twice around the outside of the building (get there early… seriously). Get money back for the items you buy. All members receive 10% back on each item in the form of a yearly dividend, which can then be used in the store to buy more gear. Those experienced with this March magic eagerly refresh their member page each spring, waiting to see the amount they have to spend. Dividends roll over each year, so you don’t have to worry about your dollars expiring. 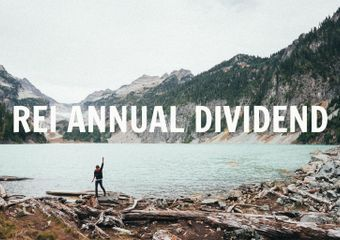 Dividends are available now, here’s where to find yours. Since 1977, REI has invested more than $77 million through collaborative work with nonprofits in the outdoor industry. That’s huge—a significant portion of their profits (nearly 70%) goes right back into causes we’re passionate about: conservation, land management, sustainability, trail maintenance, and financial/time donations to local nonprofits making an impact on outdoor recreation. Members get free and discounted classes from experts in about as many outdoor disciplines as you can imagine, from stand-up paddle-boarding to orienteering to how to effectively pack a backpack, you can’t go wrong. Individual stores host events throughout the year targeted towards the locality of the audience. 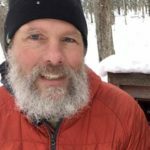 You might find a seminar about a local trail system, hands-on bike maintenance, or for those lucky enough to live in bear country, tactics for avoiding dangerous encounters. Find local classes and events here. Taylor Ciambra: The annual dividend at the end of the year is awesome. It’s like you’re being rewarded for doing what you love: being outside. The garage sales are a huge perk too, bought a bunch of used gear at a discount for my trip to the Grand Canyon. Again there’s that feeling of being part of a company that’s trying to support you and make your adventures more feasible. 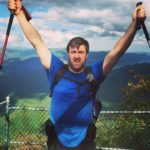 Alex Wnorowski: REI was huge for us! 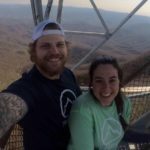 Two former Thru hikers helped us with most of our gear questions and we bought literally everything from them. We also attended ~five classes they offer all over the North Carolina stores. We went to every Garage Sale and planned our work week around getting to them and spending as much time at the store as possible since we were pretty new to hiking at the time. 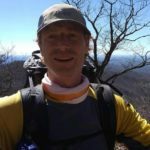 Jim McNelis: I have Altra Lone Peak 3.0 trail runners and the sole started to peel from the toe box 70 miles into my NOBO AT hike. REI and Altra are working with me to get them replaced at an upcoming resupply point! Plan on cycling through a few pairs of these as I trek onward, but these were apparently defective. Great return and replacement policy, REI! I’ve been a member for close to 10 years. Tyler Schultz: Along with my membership I have the REI credit card, and I thoroughly enjoy getting my dividends each year and seeing member-exclusive discounts come in the mail. 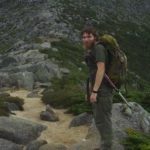 The best part about being a member was that when I returned from my thru-hike of the Appalachian Trail I was able to return/exchange any gear that I had issues with or had not lived up to the guarantee. 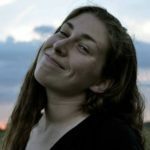 Carissa Murillo: What if I told you that you’d get paid to shop at your favorite toy store, and if you weren’t satisfied with the toys you could exchange them? Yeah, that’s basically what it’s like to be a member at REI. Elise Mann: I’m obsessed. 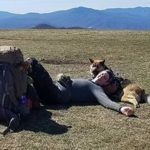 REI saved me in New Jersey, 1300 miles into the AT and when my pack no longer worked for my lady hips. I loved them before, but when they let me exchange my pack for a different one (and just pay the difference in cost….) it cemented my love and commitment to them. 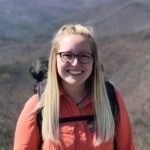 Shelby Cook: The day before we started our thru-hike, my two teammates and I stopped in at REI in Atlanta to get our packs fitted one more time. Three hours later, Lilly had not only our packs fitted properly (all with brand new, ACTUALLY fitting straps), but we made big changes like exchanging a sleeping bag, a sleeping pad, and a stove. So grateful for great customer service! 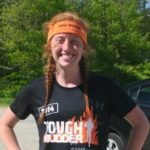 We will always consider Lilly our first trail angel! Michael Sweet: The $20 to join is a small price to belong to a big family. Becoming part of a group of people that advocate for the outdoors is how we all make this world better. Plus you get rebates! 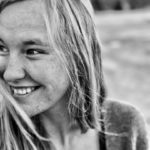 Ashley Schellhase: Being an REI Member means that I get back! When I was gearing up for my hike, knowing that I received 10% back in dividend was enough to make me shop at REI for a good bit of my gear. It literally pays to be a member. 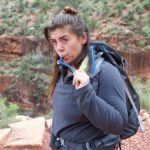 Maricruz Mosqueda: As a employee and member of REI , I can say it is an incredible company to be part of. I work at the Grand junction location in Colorado. Even before I started working there I loved the membership, thanks to 10% back in dividends, members-only offers, special coupons, as well as access to in-store REI Garage Sales. 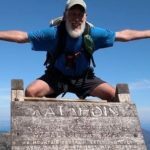 J ohn Wilson: I called the Issaquah, Washington REI to figure out logistics of getting non-carry-on items to the PCT along with shuttle arrangements. Not only did Donna volunteer to receive packages for three hikers, she went the extra mile and sent contact info for three REI co-workers willing to shuttle us ~45 miles to the starting point. Kathy adamantly refused a donation for the shuttle. These two REI folks cheerfully provided trail magic which made for a pleasant start of our PCT section hike. 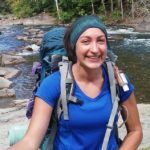 Erica Notini: The first time I traveled out to the REI in Reading (about an hour from me) I was looking for a sleeping bag. I found some very knowledgeable and helpful employees who helped me find exactly what I needed. They were super friendly and welcoming. The great customer service was what really influenced me to get a membership. That and the end of the year dividends. Tiffany Taylor Korrigan: I’ve been a member since the early 90’s. Every time I have been into one of their stores I’ve been greeted within minutes by someone that has at least an equal passion for the outdoors. They have helped make sure my shoes and my packs fit perfectly every time and made sure that I knew I could exchange them if they didn’t work right. The dividend is fantastic, I’m always excited to see what is coming when they distribute them in March. Aaron Owens: I’ve been a member of REI for many years, with this year being the most influential experience. As I’ve prepared for my 2017 PCT thru-hike, the REI staff have provided countless hours of support, including assistance with purchasing gear, educational classes, and firsthand experiences hiking the PCT. 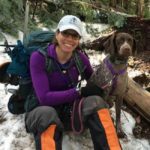 REI is my go-to retailer when it comes to outdoor gear, as I’m not only purchasing a product but also the fantastic customer service. Keep up the good work! Tom Willard: There’s something so cathartic and soothing when you walk in. When I was making an overhaul on my backpack kit a few years back, several of the employees actually told me not to buy certain things. Rather than score a sale, they knew a loyal customer would come back based on good advice. The #optoutside on Black Friday movement has led to other companies following in their footsteps, which in a small way recalibrates our moral compass to assess what is more important in life than shopping. There you have it. Here’s more info on stewardship and membership benefits, and be on the lookout for local outdoor volunteer opportunities at trails in your area as the weather warms up. This membership promotion runs until April 10, so there’s no better time to drop the smartest $20 since you invested in that ultralight spork. 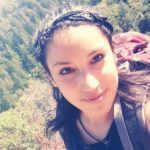 Disclosure: the preceding post was a sponsored post brought to you by REI. Therm-a-Rest NeoAir Voyager Sleeping Pad – Regular from the REI Garage. The pad had already been reduced from $89.95 down to $66.73 even before my discount. Sweet!